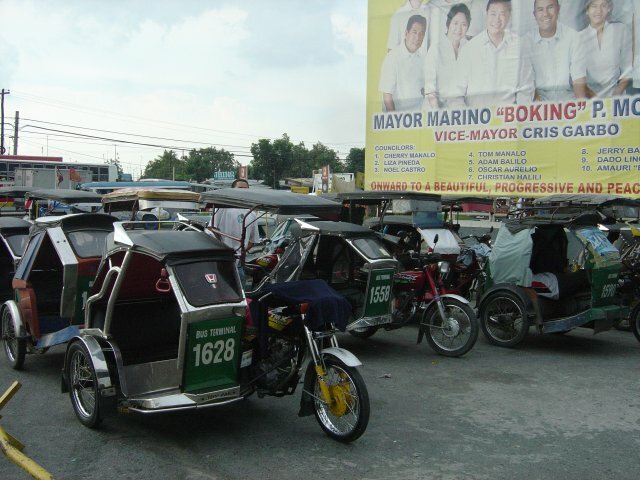 A Trike or Tricycle is a typical Philippine public transportation means - a motorcycle with a sidecar for 3-5 passengers. Going anywhere for a reasonable fee. At high frequented places you find many at once waiting to carry you safely home. 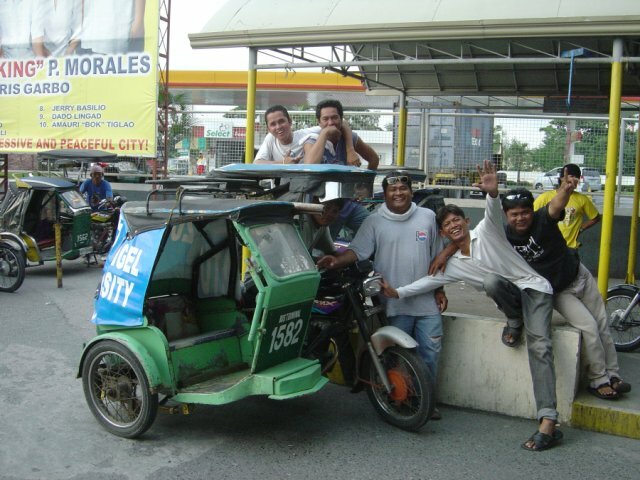 Pay a honest fee and drivers smile. Remember - all drivers have a family and children like you to feed and to support. A ride from Hotel Swiss Chalet to Dau Bus Terminal may be 50 PHP for single persons and 70 PHP for 2 or one person with lots of luggage. A little more when raining may keep the driver smiling. If you take a trike from Swiss Chalet to go shopping in Saver's Mall or to Bank of the Philippine Islands to the ATM machine and back - may be 100 PHP is advised depending on waiting time during your shopping.